Excellent way of explaining, and nice post to get data concerning my presentation topic, which i am going toconvey in college. Way cool! Some very valid points! I appreciate you writingthis article and the rest of the website is extremely good. 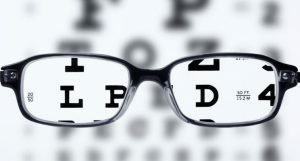 Previous PostPrevious The In’s and Out’s of Telescopes for Low Vision: Achieving a Balance between Acuity and Field of View in Prescribing. Next PostNext Is the ORCAM really an “Artificial Vision Device”?